Brixton innovator Gaika has joined forces with superstar SOPHIE on a brand new track titled ‘Immigrant Sons (Peso & Gas)’. Landing later this month on Gaika’s debut LP ‘Basic Volume’, the rousing tune has been described as a, “rallying cry” via a press release and released alongside an accompanying video directed by Paco Raterta. Produced by Gaika, SOPHIE and Aart, the compelling new cut is set to be an album standout when the project releases later this month, with SOPHIE’s trademark euphoric edge fusing with Gaika’s signature dark vocal delivery. 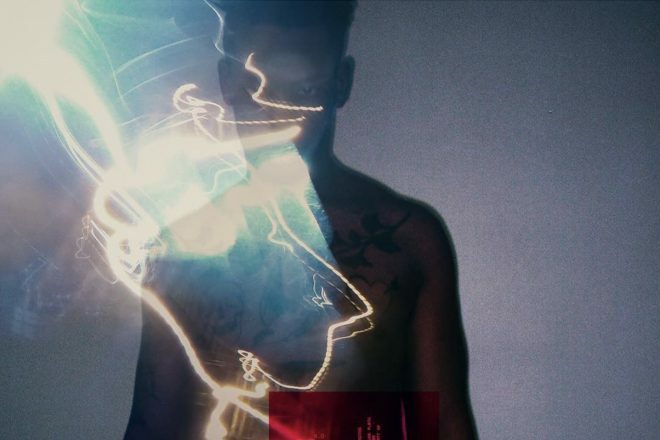 Take a look at the startling visuals below and grab a ticket here to catch Gaika on tour later this year. Gaika’s ‘Basic Volume’ LP lands July 27 via Warp. Pre-order here.